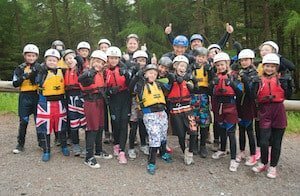 Studfold Activity Centre is an award winning, 4-star residential adventure facility for groups looking to learn or bond through adventure. Our focus is on the highest standards of learning through adventure and outdoor education. We cater for groups that prefer quality, providing outstanding service, attention to detail and an overall exceptional experience. Instructor to client ratios are low, equipment is top of the line, clean and regularly updated, the food is fresh, nutritious and hearty. Adventure Training. Outdoor Education. Team Building. Family Fun. We provide a platform for your organisation to develop as a team through real experiences, facilitated learning and high, bespoke levels of challenge. Programmes are centred around activities designed to improve transferable skills such as leadership, communication and teamwork. Continue reading about team building. Learning outside the classroom should above all else be F-U-N! We also believe in creating engaging, challenging and unforgettable experiences (mucky boots and smiling faces included). 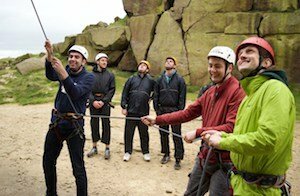 We provide a range of outdoor activities for school groups, Scouts, Guides, and Cadets, tailored to your group. Continue reading about School and Youth Groups. Want to please the youngsters, challenge the teens and keep the adults amused? Activities can be tailored to fit all skill levels, ages and abilities. Make it as fun or as adventurous as you want it to be, we’ll help you find the perfect fit and tick all the boxes!  We also supply participants with an information pack including kit lists, safety briefings and all other information needed for your adventure as well as all the specialist equipment and water-proof clothing. You can simply turn up and take part. Our friendly, qualified and experienced team will help to take the hassle out of planning, so you can concentrate on having fun! The Adventure Centre can sleep up to 16 and we can accommodate groups of any size either on our campsite or by using our other nearby centres. 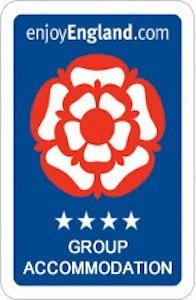 Studfold Camp Site has won the prestigious Welcome to Yorkshire White Rose Award for Caravan and Camping Parks. 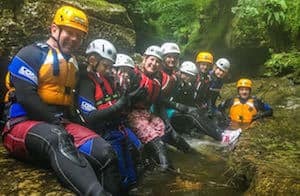 Facilities are of the highest calibre, award winningly clean and the perfect place to base your group for a real adventure in the Yorkshire Dales. For camping groups we supply large patrol tents and all camping gear required for your members. We can run trips as fully catered or you can choose self catering as there is a well equipped kitchen available for your group. Situated in the beautiful hamlet of Lofthouse in the Nidderdale Valley we have conference and meeting facilities right in centre of all our outdoor activities with catering, free parking, gardens and green space, flip boards and other conference materials available. There are a number of excellent local pubs, cafes and restaurants including the Micheline Starred York Arms, a few minutes away. Starting from just a half day to multi-day adventures, our friendly, qualified and experienced team will guide you in organising a hassle free and rewarding event! Put this in an email to info@lostearthadventures.co.uk and we’ll respond with a price within 24 hours. If you’d like to talk to one of our helpful instructors or centre managers for advice call us on 01904 500094. Leeds – 1 hour, Harrogate – 40 minutes, York – 1 hour 15 minutes. The centre is also within close proximity to Settle, Skipton, Richmond, Middlesbrough, Darlington, Northallerton, Thirsk, Otley and Bradford.